Every little bit counts. Help Grace continue fighting for you in Congress! Grace is a powerful advocate for Southern California. Keep track of Grace's campaign and see how she is making a difference in Congress. Thank you for visiting my campaign website. 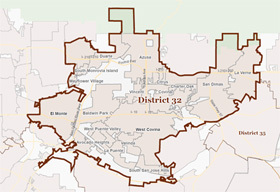 If your intention was to visit my official House of Representatives website, please click here. My offices and numerous community partners have worked very hard to build on the successes we achieved in local job development, federally funded transportation projects to ease traffic congestion, environmental cleanup of our contaminated water resources, provide on-site counselors to deliver mental health services for 26 local schools and other initiatives that address the significant needs of our District and California. My pledge is to continue to utilize the leadership and 16 year seniority in Washington to bring real, measurable improvements that directly benefit you, our cities, communities, schools, businesses and stakeholders. Our record is clear: despite partisan gridlock in Washington, working with colleagues, regardless of party, we have together found solutions to address our local and area needs. Given our national leadership dealing with instability throughout the world, our still-recovering economy, the serious drought affecting our state, the necessity to reach compromise on immigration reform, skyrocketing costs for college, demand for mental health awareness and services to reduce stigma and prevent violence and most importantly, continued progress in creating more jobs for our local economy, all give me great motivation to continue fighting and delivering to and for my constituents. I respectfully request your support. 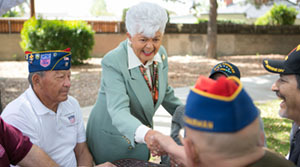 EL MONTE, CA – Today, Congresswoman Grace Napolitano announced that she intends to seek re-election as the representative for California’s 32nd Congressional District. “It is a great privilege and honor Representing the residents of the 32nd congressional district in Washington, and after thoughtful consideration, I have chosen to seek re-election in 2018. Working closely with our local elected and community leaders, we have made great strides toward delivering jobs, mental health services, veterans' benefits, reliable public transportation and clean drinking water,” said Napolitano. “We are at a critical point in our nation, with a new administration that has lost sight of the core values that this nation was founded on. It is imperative that we have members in Congress who are experienced and ready to fight, day to day, to bring the federal resources that address our community's pressing needs and the many challenges ahead. 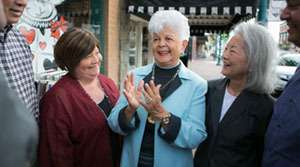 Congresswoman Grace Flores Napolitano is a powerful advocate for the San Gabriel Valley. She has championed the issues most critical to our communities, including water resources, transportation and power generation, and dedicates considerable energy to mental health issues. The daughter of a Mexican immigrant who raised two children on a shoestring budget, Napolitano married at 18 and had five children by 23. 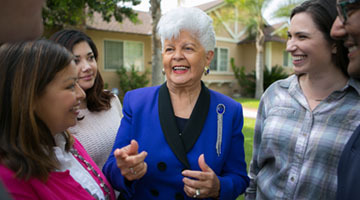 She launched her first political campaign for city council where she served for seven years, two of them as mayor, before moving up to the California Legislature. 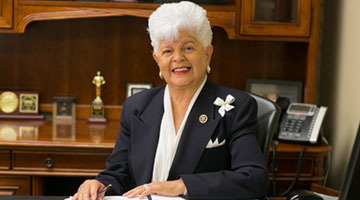 Congresswoman Napolitano is currently serving her tenth term representing California’s 32nd District, where she is the founder and Chair of the Congressional Mental Health Caucus. She is the Ranking Member on the Transportation and Infrastructure Committee’s Subcommittee on Water Resources and Environment and serves on the Natural Resources Committee’s Subcommittee on Water and Power. How much money will Los Angeles County get from Congress’ transit bill?